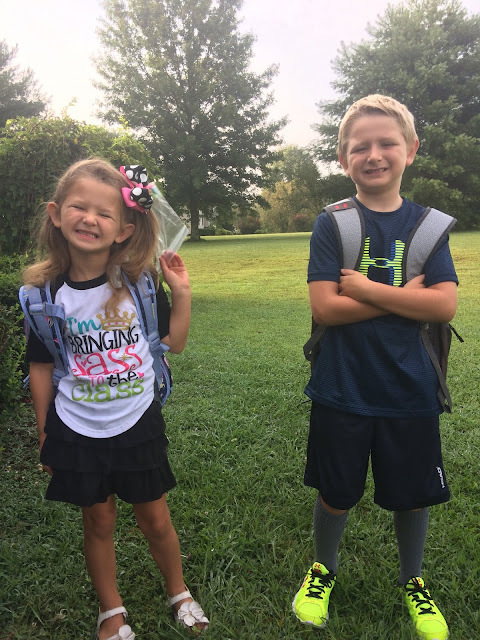 I promise not to do this every week, but I just had to show you these cuties on the second day because these were the outfits they really wanted to wear on the first day had we been able to get our acts together. 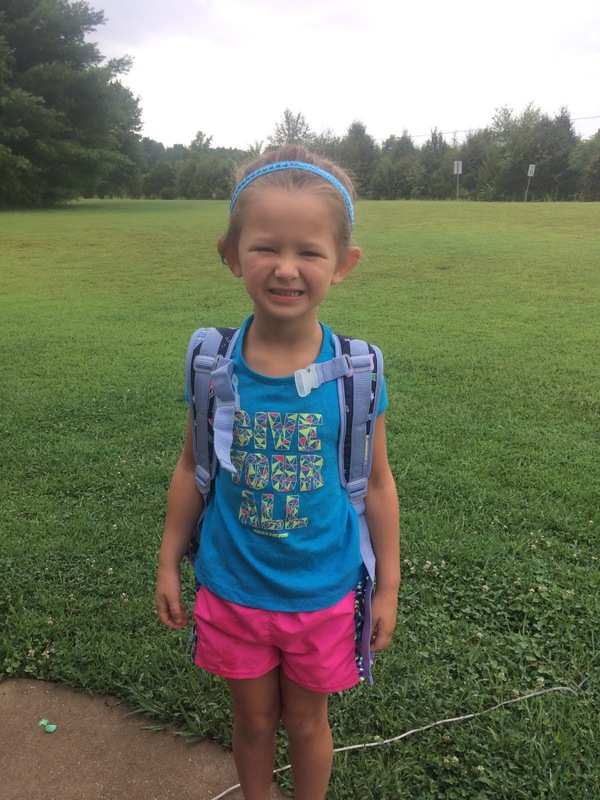 Ellie's shirt pretty much sums her up and says, "I bring sass to the class." Bless it! She is a hot mess. She worn the shirt on her first day of preschool and again at Open House, so I made her wear something else with promises that she would pick her wardrobe on day two. Eli had put his clothes in the wrong drawer, so I thought they were dirty. I tore the house up look for them and am thrilled he got to look "too cool for school" on day two! And finally, I had to show you a look we don't see much on Ellie. Here's she's sporting her P.E. look! I think it suits her well. Hahaha! Ok, I promise not to become a fashion blogger, but ya'll, they actually let me take pictures!